#Gonzervatory Applications are now CLOSED. Big Thanks to the HUNDREDS of applicants! Gonzo and his fellow professors Socalled, Peaches, Jarvis Cocker and Lisa Kainde Diaz from Ibeyi now hard at work selecting their students. SHORT LIST ANNOUNCED 15 DECEMBER so STAY POSTED! 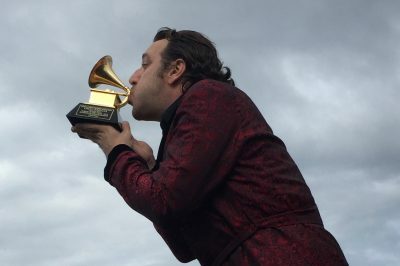 Grammy Award-­winning entertainer and composer Chilly Gonzales is CALLING ALL PERFORMING MUSICIANS! Join him in Paris to study at The Gonzervatory, an 8-day residential music performance workshop. Six selected students will win an all-expenses-paid trip to Paris for a week of intensive coaching, masterclasses and rehearsals, living together in musical immersion and culminating in a public concert led by Chilly Gonzales himself. The Gonzervatory is open to EVERY MUSICIAN 18 OR OLDER, FROM ALL PARTS OF THE GLOBE, WHO WRITE AND PERFORM THEIR OWN MATERIAL, REGARDLESS OF LEVEL OF EXPERIENCE, LANGUAGE, INSTRUMENT… composing instrumentalists, singer-­songwriters, rappers, producers… APPLY NOW, YOU HAVE AS GOOD A CHANCE AS ANYONE ELSE! Together we will explore Musical Humanism, audience psychology and what it means to be a performing musician in 2018. The students’ first meeting with Chilly Gonzales will be … on stage! The Convocation Concert at Le Trianon theatre in Paris on Thursday 26 April 2018 marks the start of the workshop and introduces each student to the theatre and web audiences. 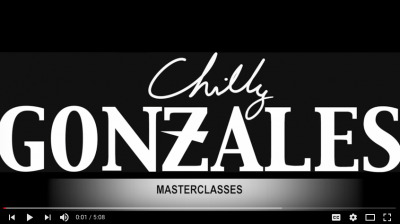 During the week, each day starts with one-on-one coaching sessions with Gonzo, followed by afternoon masterclasses with special guests, selected from his musical friends and collaborators. Each evening the students rehearse together, learning and practicing each other’s songs for the Graduation Concert led by Chilly Gonzales himself, also at Le Trianon on Friday 4 May 2018. 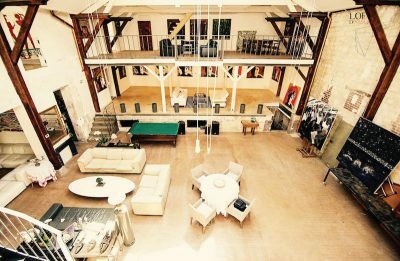 The Gonzervatory workshop takes place at the Loft, a musical home created in partnership with Sonos and Steinway & Sons in Paris, France. 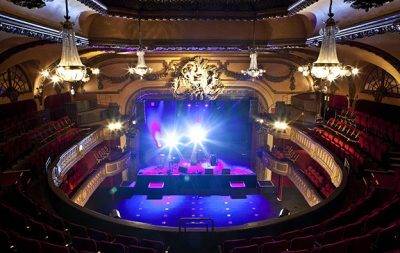 The Convocation & Graduation concerts will take place at Le Trianon in Paris. The experience, with all its inevitable struggles and triumphs, will be documented and shared with viewers all over the world. Livestreams of both of the concerts, daily video debriefs, as well as an online fanzine of photos, illustrations and essay pieces, will allow audiences to witness personal exchanges in real time and develop an emotional investment in the participants’ musical progress. Convocation Concert: 26 April 2018 8:00 p.m.
Graduation Concert: 4 May 2018 8:00 p.m.
Over the course of his career, Chilly Gonzales has pulled back the curtain on how music works. On stage, his now classic ‘Major-Minor’ routine, where he plays Happy Birthday or Chariots of Fire in a minor key to demonstrate the emotional impact of each key, has the audience laughing and learning all at once. Another routine sees Gonzales select a member of the audience to join him on stage and, in less than 3 minutes, they write a spontaneous piece built on the simple repetition of 3 notes plus 1 tiny variation. His most recent tour saw him breakdown the Beatles’ Eleanor Rigby in to its component parts, before using a string quartet as a real-life sampler to show how hip-hop, pop and classical music are not so distant relatives. The success of these concert routines led to production of the From Major to Minor live DVD, an hour-long masterclass concert where Chilly Gonzales deals with the principle elements of music theory, including rhythm (featuring special guests Daft Punk) and melody (featuring special guest Feist). Chilly Gonzales’ teaching also takes the form of best-selling book Re-Introduction Etudes: 24 easy-to-master, fun-to-play piano pieces specifically designed to unlock musical mysteries for those who gave it up. The book is an antidote to the stale, cheesy, ‘rinky-dink’ repertoire most student pianists are forced to play, and aims to restore some fun into the learning process. Gonzales’ most recent forays into education are through his Pop Music Masterclasses, in which he breaks down the musical elements of current and classic pop hits (Under Pressure by Queen & David Bowie, Shake It Off by Taylor Swift, or Drake’s Hold On…) in 3-4 minute videos which have to date been viewed several hundred thousand times on YouTube, and the Apple Music Beats1 radio show Music’s Cool with Chilly Gonzales where his unique analysis introduces listeners the theory and the fun of entire musical genres through the work of one exemplary artist (Daft Punk for electronic music, Weezer for Indie Rock…) in a 2-hour monthly broadcast. 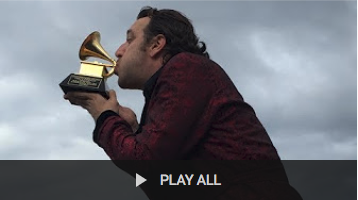 Through all of these endeavors, Chilly Gonzales gained a reputation as a “musical scientist” in addition to his renown as a composer and performer, penning several newspaper and magazine opinion pieces and being called upon by the likes of Apple Music’s Beats 1, BBC Radio 1 in the UK, 1Live in Germany, and the CBC in Canada to comment upon our ever-expanding musical universe. The Gonzervatory workshop is a result of all of the foregoing for the man whose mission it is to spread Musical Humanism: an ongoing and constant search for the techniques and aesthetics that connect musical eras and genres.